Combining her love for knitwear design and cashmere, and passion for architecture and modern art, Paychi Karen Guh launched Paychi Guh (pronounced “pay-chee goo”) in 2013, incorporating simple form, refined texture, modern graphics, and high-quality cashmere. Each Paychi Guh design caters to the independent, creative woman who desires individuality, timeless style, and ultimate comfort. The philosophy is simple: Everyday Indulgence. Best described as wearable luxury knitwear, the Paychi Guh label is renowned for its comfort, versatility, timelessness, and flattering fit. The line focuses on lightweight, breathable, trans-seasonal pieces that are beautiful by themselves and ideal for layering. Subtle surface textures and refined seaming details make the understated and sophisticated pieces unique and desirable. Paychi Guh collection is available in fine boutiques in U.S., Canada, Belgium, France, Switzerland, UK, and Taiwan; and online at Paychiguh.com. Karen was born and raised in Taiwan and moved to Vancouver, Canada when she was nineteen. From a young age, she has always had a strong interest in sewing, knitting, and exploring colors and patterns. Karen built her solid technical foundation from textile and design education at the Clothing and Textiles program at University of British Columbia and the Textile Design Master Program at the Philadelphia College of Textiles and Science. Karen further sharpened her creative capability at Central Saint Martins of Arts and Design in London. The unique draping-and-collaging design process allows her to break free from common design rules to create original silhouettes. 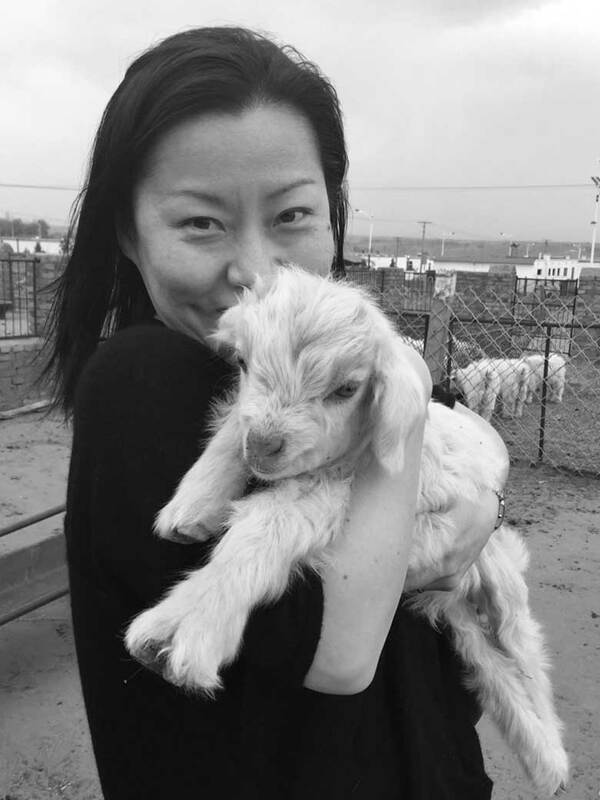 Along with her creative vision and passion for design, Karen also brings with her extensive industry knowledge on global sourcing, production, and fashion marketing from over 15 years working as Textile Designer and Design Director at fashion specialty retailer Nordstrom. 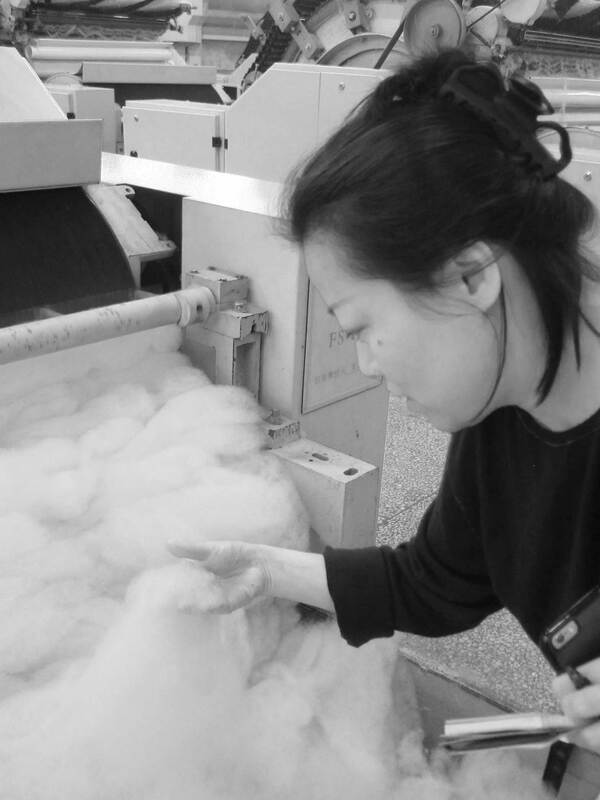 Cashmere has always been Karen’s favorite raw material, so it is only natural that she is creating an entire line made of this luxurious material. As a believer in the importance of sustainability, she practices infrequent, deliberate purchases and carries that belief into her design. 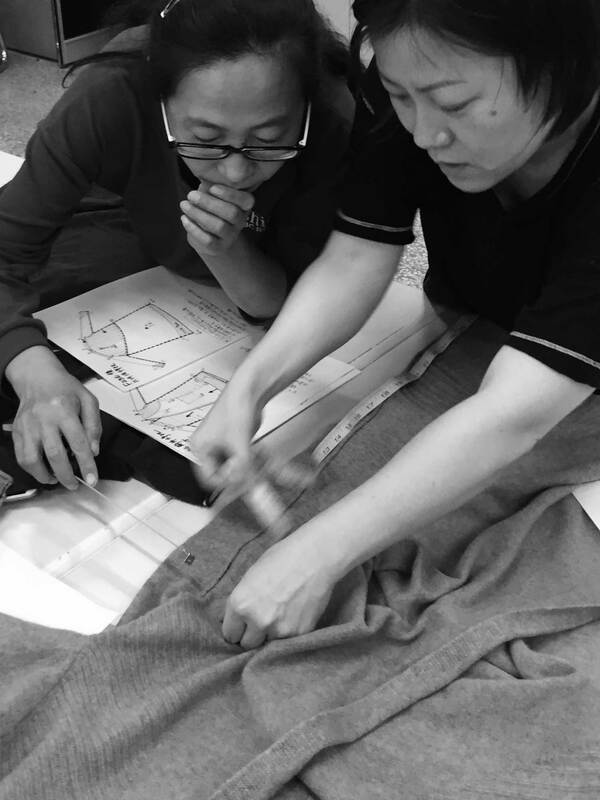 Each Paychi Guh cashmere piece is designed to be an integral part of the wardrobe, to be worn season after season and last a lifetime. Karen currently resides in Seattle, Washington with her music producer and photographer husband Steve, their son Matthew, and the adorable Labradoodle Max.